Hello loves. I've been doing Outfit August on and off since 2014. 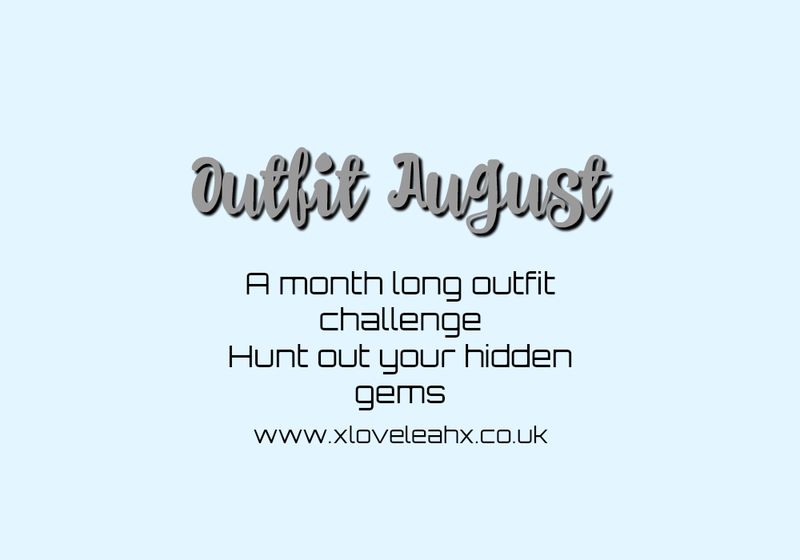 It's a month long outfit challenge anyone can join in with - as frequently or infrequently as they like throughout the month. I see it as a chance to root right to the back of my wardrobe and hunt out long forgotten gems. Too often I buy new things and forget about older items, and I'm rubbish at accessorising at the best of times, so it's a chance for me to dig into my accessory stash and put a bit more effort in with regards to that. As a woman with chronic illness I spend a lot of time barefaced in comfy clothes so it's a reason to get made up and dressed more often than usual. Some of the outfits work and some of them don't but it's all part of the fun of experimenting. There hasn't been more than 1 or 2 fashion posts a week on this blog for a while, so I look forward to doing more. It'll be nice to do some ordinary around-the-house shots rather than fancy ones out on location as well. I probably won't be doing an outfit every day, and even if I do, I'll post a round up every 2-3 days rather than updating daily. It's something fun for me to do, and God knows I have enough clothes, shoes, bags and jewellery so it's time to make use of them. Here are some of my previous Outfit August posts. If you want to join in, let me know in the comments and I'll add you to my list of participants on my blog posts to share the love. Me too! I take sooooooo many photos and I'm rubbish at sharing them. Glad to have you a part of this! Oh yes please - count me in. I need a bit of a kick to get back into outfit posts and I definitely need to NOT be buying anything new! Same here, I'm awful! Glad to have you on board! Ooooh, add me, please. I haven't seen the back of my closet in a long time. Lol. Glad to have you on board, lady! Shall I link to your instagram?